Published on Oct 25, 2018 at 6:51 pm in Car Accidents. It’s no secret that some individuals lead incredibly busy lives. As a result, they try to complete multiple tasks at one time. While individuals may think this is effective, it can turn deadly when behind the wheel of a car. It is incredibly dangerous to use a cell phone or other electronic device while driving. If you’ve been injured in one of the many distracted driving accidents that happen on a daily basis, you may benefit from reaching out to our Chicago car accident lawyers. Published on Sep 28, 2018 at 6:48 pm in Car Accidents. Chicago has a large pedestrian population. Many people choose to walk around the city rather than drive in the heavy traffic. Unfortunately, negligent actions of drivers can cause serious pedestrian collisions that result in serious injuries. 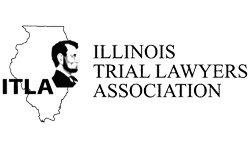 If you’ve been involved in an accident with a vehicle as a pedestrian in Chicago, a Chicago car accident lawyer from the Krzak Rundio Law Group may be able to help. Who Has the Right-of-Way on Chicago Streets?